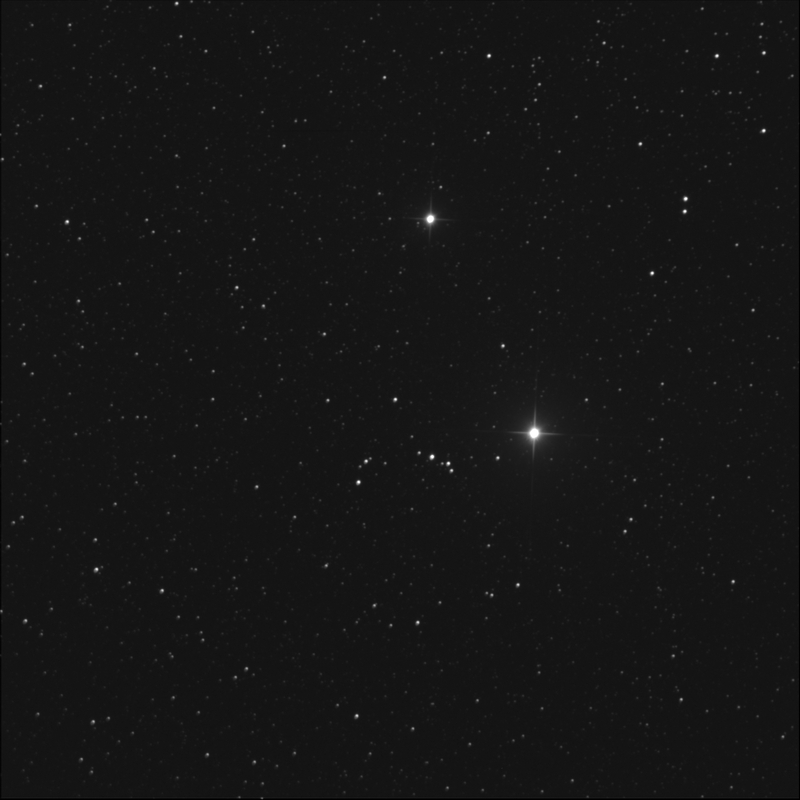 From my double stars View Again list, I asked the St Mary's University telescope robot to image POU 3855 for me. It is in Vulpecula. While there are registration problems in the image, A, B, and C are easily spotted. Luminance only, 10 seconds subexposures, 10 stacked shots. FITS Liberator, Paint.NET. North is up; left is east. POU 3855 is down and left slightly from centre. It is the left side of the arc of medium stars. 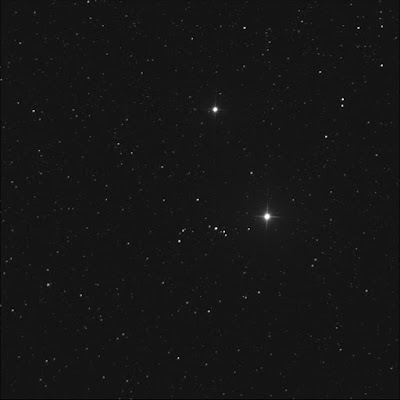 This has all the appearance of a small open cluster but SkyTools does not note it as such. Right or west is bright α (alpha) Vulpeculae, aka Anser. Up or north is 8 Vul. It is considered the companion to alpha. It's the B star of this extremely wide pair. Assembled in colour on 10 May '18.